reminds me that there are some perennial questions that come through this blog from the search engines, inquiring how to use local saps for perfume and incense. Now is a perfect time to address these questions before the weather warms up and the busyness begins. Many of our local North America evergreen saps can be used as incense in exactly the same way as Frankincense and Myrrh, Mastic and Copal oleoresins. They provide high quality aromatic material for perfume, incense and medicine. For perfume applications, These oleoresins are distilled via steam or water to extract their essential oils. They yield a high percent of good quality essential oils, and a much greater proportion of essential oil to raw material than when distilling essential oils from the tree’s needles. I will get a post and a video up on this blog in the next couple of weeks showing how to distill your own essential oils from these wonderfully fragrant local tree saps. Promise. An alcohol tincture can also easily be produced for use as a perfume ingredient. Unlike Frankincense Myrrh and some other traditional fragrant incense resins, these oleoresins contain little or no water-soluble gum. This means a tincture must be made with pure alcohol, without water, as is required in many other tinctures. 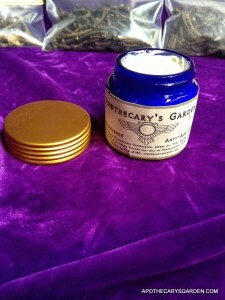 This tincture can also be used to impregnate “incense papers”, an ancient and cool type of incense one does not often see. As ready to use incense materials, these fragrant saps are burned from fresh or in their aged and crystalized form, they keep for years if stored properly. These tree saps can be used as incense in all the traditional ways-on a hot coal, an electric incense burner, or used as ingredients when making stick, powder and cone incense, as a stand alone fragrance, or combined with other fragrant materials.. The sawdust from the trees can be used as a base for making cone, stick or powder incense. A material to give the incense form without detracting too much from the fragrance of its smoke. Most cultures around the world and over the many millennia of man’s existence have burned fragrant materials as offerings to gods, spirit entities and deities. Smoke is widely associated with the element of air and considered an agent of communication, in particular communication between realms such as the physical and spirit realms. Traditionally the smoke of burning incense carries one’s prayers to the spirit realm, cleanse homes physically and energetically, to purify and prepare sacred places and participants in religious ceremonies. This seems a universal and genetically hardwired imperative of human cultures as a whole, regardless of time, space and cultural differences. The use of fragrance and burnt offerings in both our mundane , and our sacred lives, is rooted deeply in our collective consciousness, and is a common thread that binds us all since the beginning of time. Here, in the Americas, our native cultures traditionally use combinations of White Cedar leaf, Sage, Tobacco and Sweet grass among other ingredients, as “Smudging” materials, burned in a variety of ceremonies, and their smoke used to purify, prepare and cleanse the ritual space. Sometimes they are cut, loosely mixed and burnt in a seashell, while a feather is used to fan the smouldering incense and energetically cleanse those attending. While all these materials can be burned on their own, they can also be combined as ingredients in different types of solid incense. This is a variation of a recipe I make with children during “Oceans of Potions” both at Under the Willows and in my studio. These incense balls can be pressed into different shapes, such as pea sized balls, sticks, discs, cubes or cones. When dried, and if stored in tightly closed tins, they will keep for decades. With the addition of “Punk” wood, and/or Saltpeter to the recipe, they could be made to burn on their own, without needing an electric incense burner or charcoal, but for now I will share this simple and easy to make recipe for incense pellets. A simple compound incense recipe using local tree saps and other fragrant materials. A glob of fresh, sticky Spruce, Fir or Pine sap, as fresh, liquid or pliable as you can find, and cleaned as best you can from bark, twigs and needles. Let’s say 100 grams, as in the packages of fresh sap I sell in the store here. Dry fragrant materials. to make “Smudge Balls” one would use the same materials found in native North American smudge mixes such as, dried Prairie Sage, Tobacco, White Cedar leaves, Sweet grass, etc. This will smell and function like a traditional native smudge. To make a more “Oriental style of incense, one would forgo the above 4 dry materials, and incorporate materials such as the resins of different types of Frankincense, Myrrh, Copal, Dragon’s Blood and Mastic, shavings or powders of Sandalwood, Oud, (Aloes wood), any other traditional incense ingredient one desires. I am fond of Saffron for instance. 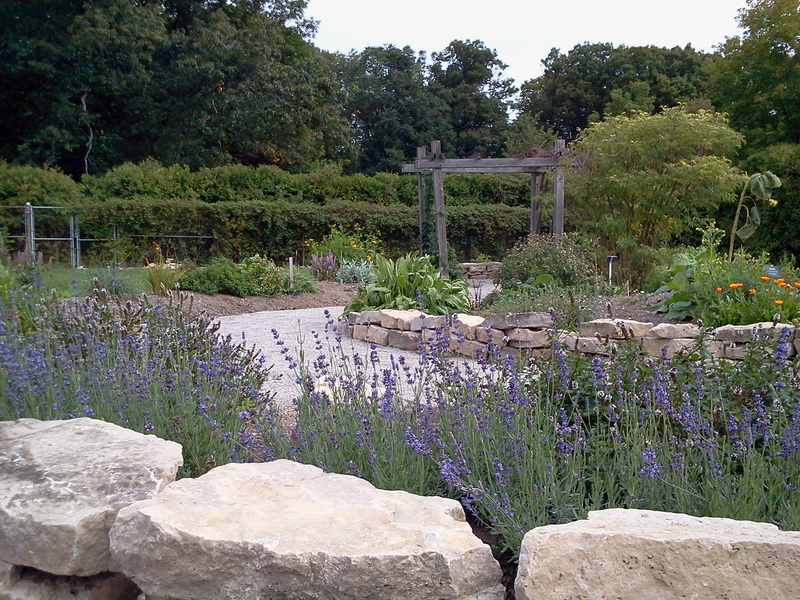 If you like you can keep it local and add some dried, finely chopped or powdered Lavender flowers, Rosemary or Thyme, or any other fragrant herb that inspires you. You can make an incense that smells quite different by simply using different ingredients. It is up to you. Powdered natural resin incense such as Frankincense, Myrrh, Copal, or Mastic, or any other material that can be powdered and will burn fragrant. They should be ground at least to the consistency of fine sand in a mortar and pestle. Or if first frozen, a coffee grinder could speed up the process a bit. 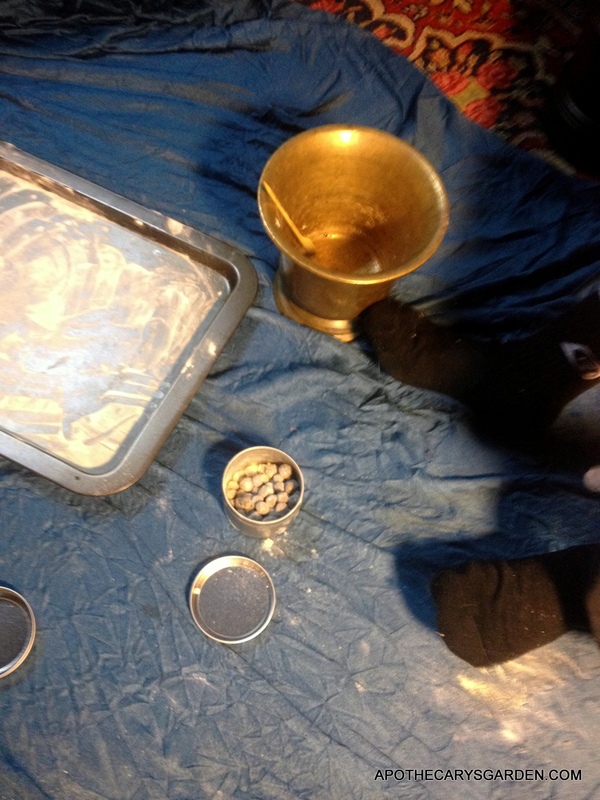 (See-How to grind Frankincense and Myrrh). If you roll your sticky incense ball in the powder of these resins, it will seal them, keep them from sticking to everything, and will help them harden and cure. Essential oils of your choice. 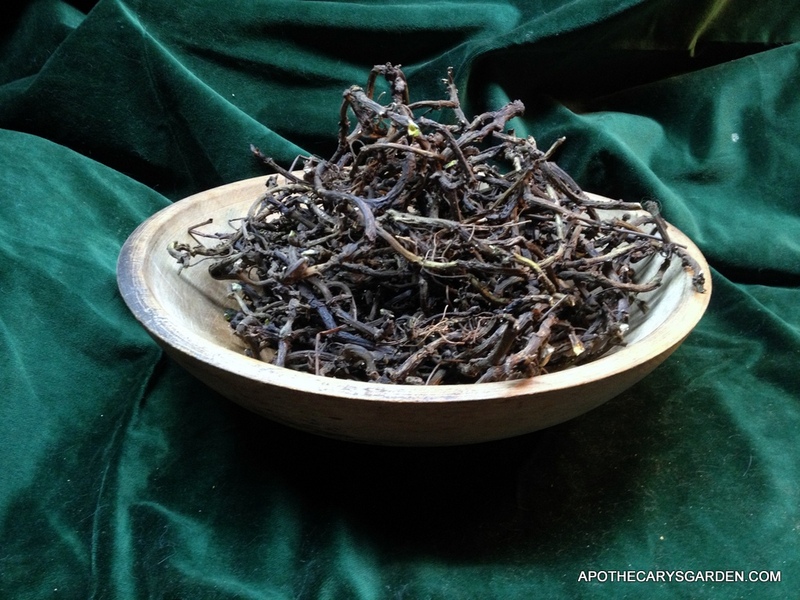 I find Benzoin a classic fragrance addition to any incense blend and helps hold all your ingredients together, especially if you have inadvertently added too many dry materials for the sap to keep it all together. Essential oils can add great depth and endless fragrance possibilities to your incense blend! 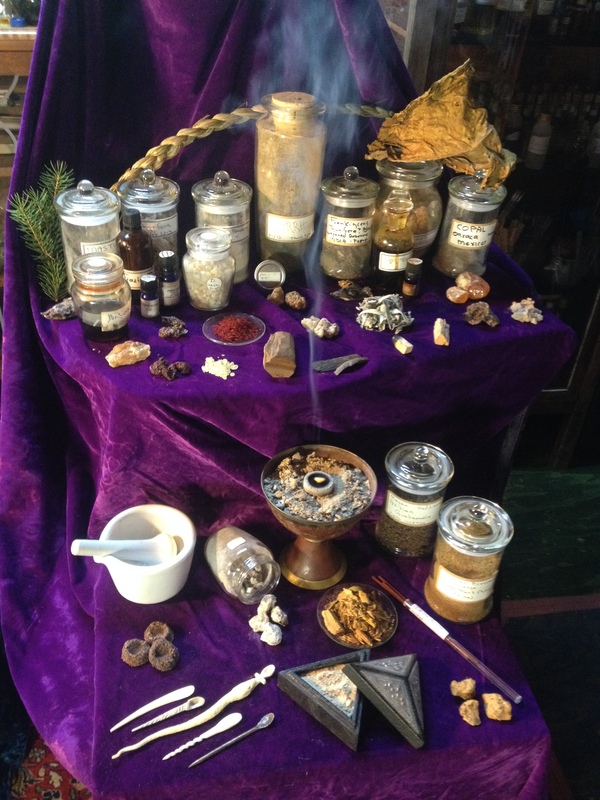 You can easily make this same type of incense without the local saps if you like, and replace the Pine, Spruce or Fir saps in the recipe with thick, sticky Benzoin essential oil for a very different fragrance. Wild Ginger-Ontario- 2012. For Perfume, Incense and culinary applications. Essential oils can be added at the beginning of the process to the semi liquid saps, or worked in to the semi-firm product after the chopped dry material has been added. Note that not all fragrant materials smell good when they are burned! Experiment first, and if you are happy with how an ingredient smells when it is “smoking”, good chance it will add to your mix, not detract from it. A selection of various natural fragrant materials for incense making, and a few traditional incense products. You will need a bowl large enough to easily mix all your ingredients. A cookie sheet to lay out your incense balls to dry, and a mortar and pestle to powder your resins or dry plant materials if needed..
Clean your fresh sap from twigs and other foreign materials, place saps,(s), in a bowl, if it is too thick to work with, you can warm it up a bit and this should make it more liquid and pliable. If you can place the bowl with the sap in a larger bowl filled halfway with hot water, (or use a double boiler as shown in this recipe for solid mustache wax), this is the safest way to make your sap more pliable. DO NOT heat your sap in a microwave oven! Though it is possible, with great care to do this, these saps are EXTREMELY flammable, and if left unsupervised even briefly in a working microwave, could cause a serious fire or explosion! Best to do things safe and slow. Coarsely grind, or finely chop the fragrant materials you plan to use. 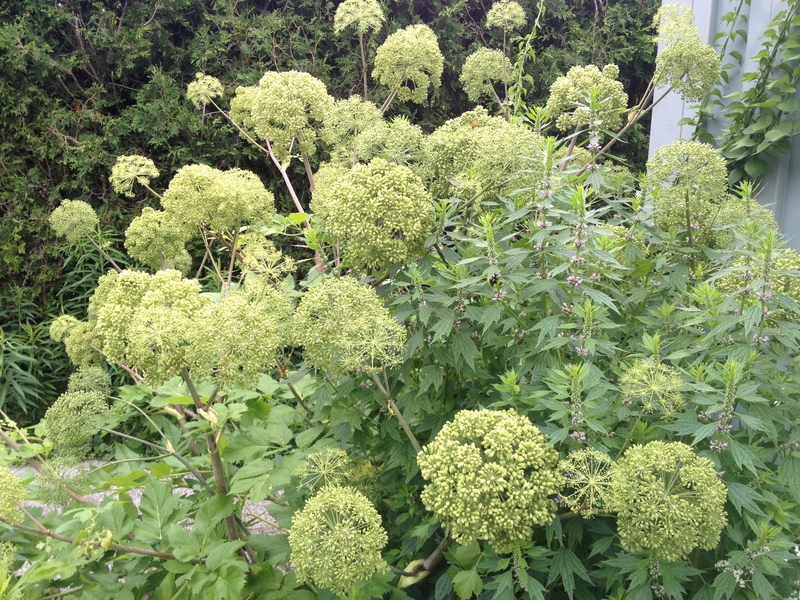 Use scissors to finely chop fibrous stems and grasses. Keep them separate in piles or their own containers. You will need a least one fragrant material that is ground to a fine powder to serve as your final coating and drying material. Make sure you have kept enough of it till the very end of the process, enough of it to coat all your incense pellets. If you want to stick to local materials and reproduce the fragrance of “Smudging” as closely as possible,Tobacco leaf powders very easily and will work well, but anything else will do just fine. Start adding your dry fragrant incense materials to the sap. You can knead it all together with the back of a spoon or some other tool to keep your hands clean. If you pre-mix all your dry powdered ingredients, you will spend less time kneading your incense to achieve a homogenous distribution of aromatic materiels within it. You can clean everything at the end of the process with olive oil, then warm soapy water, but try to wait till you are finished, DO NOT get olive oil mixed into your incense. It does not smell good at all when burned! If it starts getting too thick and difficult to mix before you have added all the materials you have chosen, you can either put it back on the water bath to warm and soften it, or add some of your essential oils. If you would like to test your ball incense as you go along to better judge proportions of ingredients, you can set up a censer close by, or simply a lit incense charcoal sitting on a safe non flammable material in a non flammable container,(Glass or ceramic for instance). See “How to burn Frankincense as an incense” for instructions on making a censer). When you have added all your incense ingredients and are happy with your formula and consistency, it is time to shape your incense. Now take your reserved, powdered incense ingredient, and make a pile of it on your cookie sheet. Powdered frankincense or any other oleoresin work well for this, or Tobacco as mentioned above.You can also use any other incense ingredient you have, as long as it is finely powdered. Pinch off small uniform amounts and form them into whatever shape you like. It could be little balls, (The size of a pea seems to be the ideal quantity for burning in one session, much more than this can often be too much smoke for a small space. Having smaller units of incense allows you to pace the burning and better control the amount of smoke you are generating. You can shape them into pea sized balls, roll them into sticks no thicker than 1/4″, you could make longer sticks and indent them deeply every 1/4 inch, so when they are dry and hard, small sections can be broken off easily. You can use your imagination, press them out into very thin wafers and press the back of a knife into them to create pie shaped wedges, or roll it thin and slice narrow strips.There are many possibilities. Lay the shaped incense pieces in the pile of powdered incense material and cover it evenly with the powder so each unit is completely and evenly coated. As you work the powdered fragrant material into them on he cookie sheet, they will lose their stickiness, get harder and less pliable till they no longer stick to each other or pick up any more powder. Put them to the side of your cookie sheet and keep your loose powder in one area for rolling and coating the rest of the pieces. When they are all shaped and coated, check if they have absorbed all the powdered coating already. If so, feel free to sprinkle the rest of the powder on them and let them sit another 1/2 hour to absorb as much as they can. Spread them out evenly and set the cookie sheet on top of the fridge, or in a warm place with good circulation. I find if you can set them in the sun for a few hours it does the trick quite well. Within a couple or few hours, they should be firm and dry to the touch and ready to be packaged. If they are not yet dry and firm, either leave them longer, or set the cookie tray in an oven on the lowest temperature setting with the door cracked open until they are ready. If you have a food dehydrator it might also be an option. I have not tried this method, but it might be ideal for slow even drying with no risk of burning them. (Please leave me a comment below if you have tried this method successfully!). Only when they have cooled to room temperature can you test their consistency accurately. At this point you can put them in a container. Store in a relatively cool place. Your incense will keep for many years. They can be packaged in attractive tins or some other attractive container, and make unique gifts. If you are harvesting your own saps, please, please be considerate of the trees and of Nature!! For the sake of not wanting to write too long a post, I cut out a section on ethical and sustainable harvesting from nature. I may just add it as a separate post. Until then, please feel free to click on the tag “Wildcrafting” in the sidebar and check out some posts that talk about how to properly harvest from nature. Ethical and sustainable harvesting methods are critical! As those who keep an eye on my Facebook page know, I received a surprisingly fresh shipment of resins and oils from Ethiopia. 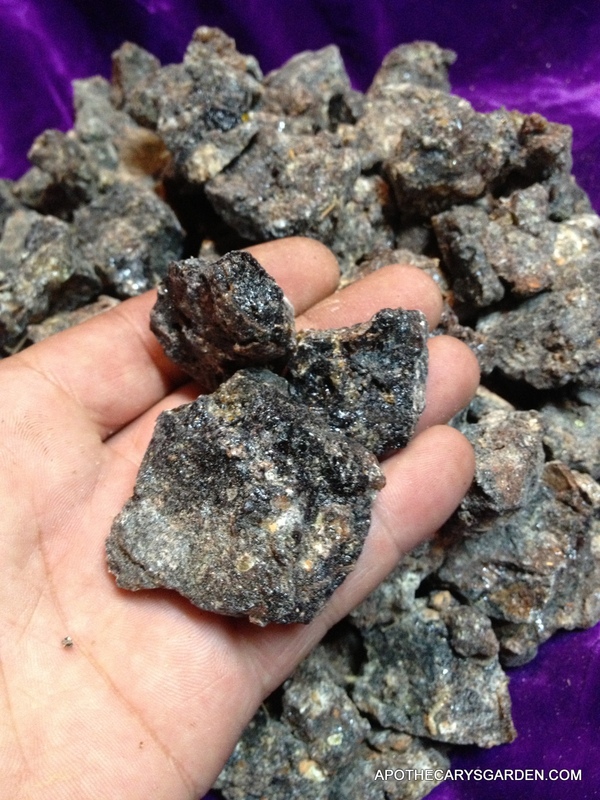 Surprising, because I have never seen such freshly harvested resins of Frankincense. Even when I was in Ethiopia last winter, looking at hundreds of samples, nothing I saw compared to the freshness of this stock. This may be due in part, to timing. I believe traditional Frankincense harvesting time starts in the early summer, which means I may have received one of the first shipments from the outlying extremities of Ethiopia. 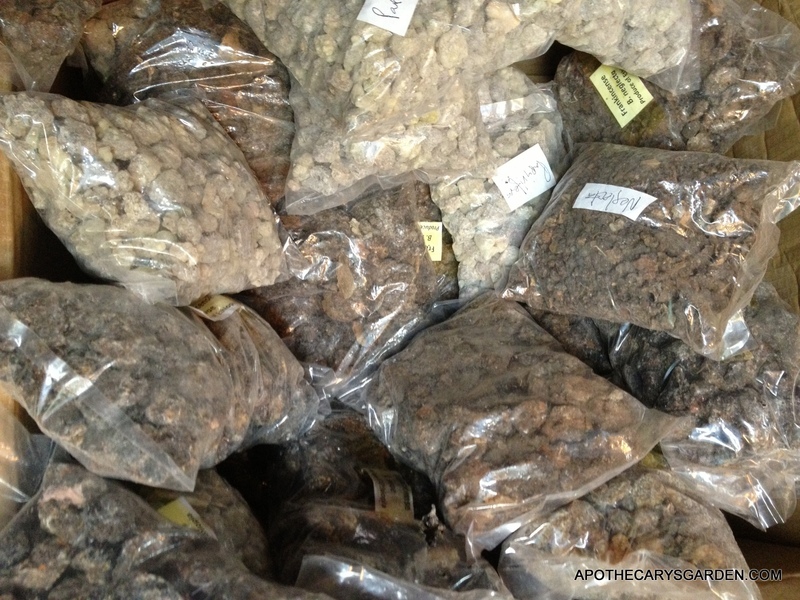 A shipment of Frankincense Rivae that was direct from the collector co-op in the Ogaden region of South Eastern Ethiopia. 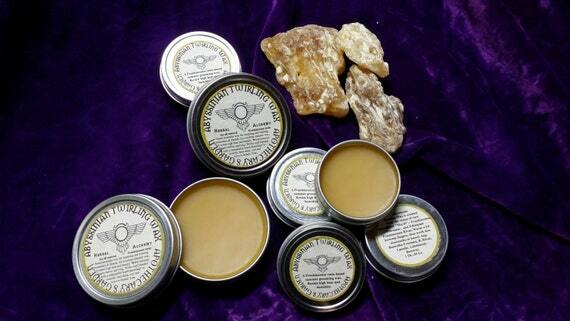 Frankincense Papyrifera, Neglecta and Myrrh oleo resins that are all fresh fragrant and pristine specimens. A harvest that had just arrived in the big city, not gone through any secondary processes such as sorting, warehousing and distribution. My latest shipment from Addis Ababa. I still can’t believe how he managed to source such fresh stock!! I have started calling Boswellia Rivae the “Sweet Frankincense”. This little known Frankincense really is a gem. As a resin for burning or making cremes and salves, as an exquisite essential oil for perfumery and aromatherapy, I am simply in love. In the vast world of fragrant tree saps, the sweet and subtle complexities of fresh Frankincense Rivae are an unforgettable experience..
Until recently, in our North American market, there was little choice as far as the type of Frankincense resin or essential oil one could buy. Only in the last decade or so has it been possible to acquire the rarer types of Ethiopian Frankincense such as Frankincense Rivae, Papyrifera or Neglecta in North America. Though Frankincense has been a valuable commodity and a very important part of our global cultures, religions and trade for thousands of years, we have only just begun to properly identify the chemical markers belonging to each Frankincense species and to study the medicinal effects of the chemicals we are discovering in them. When one examines the research done on the phytochemicals and therapeutic activities of the 5 or 6 types of Frankincense that are commercially available, (Over 340 different phytochemicals discovered in the essential oils of Frankincense Spp. ), one finds that beyond their defining and distinguishing chemical markers, ( How we can tell one from the other in the laboratory), the different types of Frankincense share many of the same therapeutic properties. These common therapeutic effects include: Pain management, wound healing, reduction of scarring and anti-inflammatory actions on the body’s various systems. Most, if not all types, help treat arthritis and rheumatism, help protect and heal the liver, reduce wrinkles, crow’s-feet and help tone aging skin. All species of Frankincense, through the smoke of the incense alone, are thought to elevate feelings of heightened spirituality and well-being, aid with meditation, study, concentration and calm, and help reduce feelings of anxiety. It is also safe to say that most available types of Frankincense resin contain, in varying degrees, the much studied and greatly valued Phytochemicals –“Boswellic Acids”, which studies have shown aid the body in battling different types of cancer and cancerous tumours. It is important to note, that Boswellic acid, to which many wonderful healing properties have been attributed, does not normally “come over” when distilling the essential oils from Frankincense oleo resin. This means it is not usually a part of the essential oil of Frankincense. It is present though, in its entirety, in the Frankincense resin, and can be isolated from the resin via solvent extraction. Sometimes, when distilling the essential oils, a lengthier or “hotter distillation can force the Boswellic acid to vaporize and condense with the essential oils, though this is not normally the case. How much Boswellic acid can one force over in this way, and whether this reduces the overall quality of the essential oil, (or the Boswellic acid), is, as yet, an unanswered question. There are many therapeutic compounds found in the resins from different sap producing plants. Compounds we overlook and discard in favour of the extractable volatile, or essential oils. Essential oils, are, of course, wonderful, and profitable, but let’s not throw out the baby with the bathwater and discount the value of the “Resin” part of our “Oleo Resins“. Whether we are talking about Pine, Spruce and Fir, or Myrrh, Mastic and Frankincense, after extracting the essential oils from them, we are left with hundreds of valuable “phyto-therapeutics”, or healing plant compounds, that remain unused in the resins of these trees. For this reason, I choose to make my salves, cremes and Balms with the oleo-resins, and do not simply add essential oils to a carrier oil or base. I believe there exists a natural synergy between the resins and the essential oils, (the oleo part of oleo-resin), in the whole product as exuded from the trees. Boswellia, or Frankincense Rivae, as all types of Frankincense, is under the rulership of the Sun, ruler of the heart from a spiritual point of view. All the types of Frankincense are warming and protective in nature, calming and strengthening to the mind and the heart, excellent for meditation, focus, and study, for promoting a positive self-image and confidence, the type of self centeredness that takes care of others to benefit self. Frankincense Rivae, does all this with the extra special sweetness of a unique scent on top of it’s expected Frankincense notes. This is due in part, to a high content of Limonene, Alpha Pinene, Octanol and traces of other unique chemical constituents. The high Limonene content of Frankincense Rivae also makes it an excellent anti-fungal, proven effective when treating Candida Albicans in particular. Boswellia Rivae Resin- SO fragrant, fresh and surprisingly still sticky. Even when in Ethiopia, I did not come across any Frankincense this fresh! Wow!! Boswellia Rivae Resin- Fresh from the tree. Considered warming to cold joints and a sluggish metabolism, Frankincense has been used for centuries in traditional Chinese, Ayurvedic and Arabian medicine for healing wounds, reducing scarring, addressing congestions and colds and treating arthritis and rheumatism and many other age related symptoms and discomforts. Frankincense is spoken of in the old testament as part of the sacred Temple incense of the Jews, and is a traditional ingredient in Arabian Bakhour incense mixes. Frankincense has been purchased in vast quantities, yearly, for hundreds and in some cases, thousands of years, by Churches around the world. 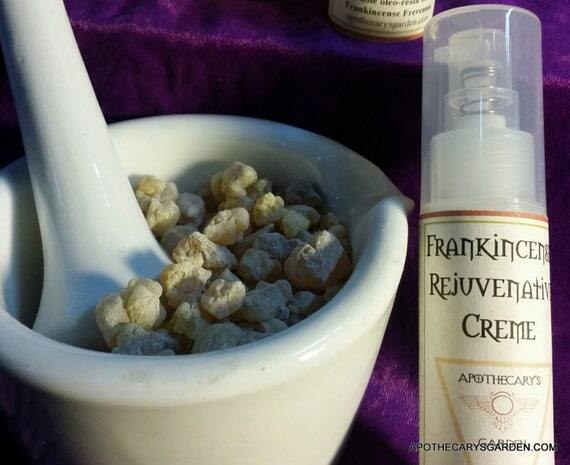 Frankincense is often incorporated in skin care products for its anti-aging and skin toning properties. Boswellia, Frankincense Rivae Resin- Fresh off the tree! I call Frankincense Rivae, the “Sweet Frankincense”. It is the only type I have met that has such a delightful sweet soft note to it. It is a particularly aromatic Frankincense. On top of the expected scent of Frankincense, B. Rivae possesses a candy like note, a lovely spicy balsamic scent reminiscent of Cinnamon, Palo Santo and Vanilla. Boswellia, Frankincense Rivae, is truly an unmistakable and unforgettable Frankincense. This is a relief of members of Hatshepsut’s trading expedition to the mysterious ‘Land of Punt’ from this pharaoh’s elegant mortuary temple at Deir El-Bahri. In this scene, Egyptian soldiers bear tree branches and axes. Today I received my much-anticipated package from Addis Ababa Ethiopia. What a treat for the senses!!! This first shipment of two, contains unique essential oils distilled from fresh harvested local oleo-resins. 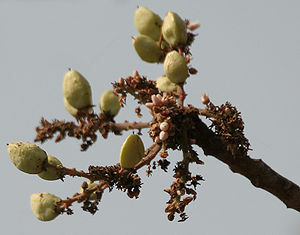 Boswellia and Commiphora. Rare Ethiopian Frankincense and Myrrh essential oils, Palmarosa, Lemongrass, and fresh pressed Black Cumin, and Neem oils to stock the store and use for perfume and herbal products. The second, forthcoming shipment will deliver the equivalent Ethiopian oleo-resins from which these oils were distilled, more of the unique bounty of the fertile and fragrant land of Ethiopia, the ancient land known as Punt. These precious oils were created by a wonderful operation based in Addis Ababa Ethiopia. Ariti Herbal is a small-scale manufacturer of herbal products, pressed and essential oils made from local medicinal plants. Run by a husband-wife team, Professor Ermias Dagne, is a well-known and respected teacher and researcher of African medicinal and aromatic plants, creator of the Natural Products Database for Africa (NAPDA) available on CDRO and on the internet at the following site ALNAP. Professor Dagne is a warm, intelligent and enthusiastic individual, passionately committed to his students and his country. He has a vision of building a strong local economy through education and the development of unique products from the bountiful Ethiopian resources. His passion and vision are contagious, making it easy to feel inspired to support them anyway one can. Treasures from Ethiopia, the land of Punt, sought after and coveted for thousands of years. Essential oils of Opoponax, Frankincense Rivae, Frankincense Neglecta. Palmarosa, and Lemongrass. Opoponax and Myrrh. It makes sense that I would speak of them both first. The same family, Commiphora. Also called Sweet Myrrh, Commiphora Guidotti, Opoponax is probably one of my favourite essential oils. Both the Myrrh and the essential oil of Opoponax are the best I have smelled. The Opoponax could be described as fresh, uplifting, crisp, balsamic, airy and sweet, a classic in mens products where it lends a light citrus crispness to aftershaves, balms and colognes. The Myrrh, cool and soft with a bitter aromatic edge. Both ground a perfume while adding an exotic touch of mystery. Finally, a true essential oil of Myrrh. So much more complex and refined in its fragrance “profile” than the usual solvent extraction. Myrrh is a difficult and finicky oleo-resin to distill. Essential oil of Myrrh wants to stick to things, the sides of the still, the sides of the receiver the condenser It can never decide if it is lighter than water or heavier , so it poses challenges for the distiller. For large-scale industrial distillers there is often too much work and fuel involved to produce a true essential oil of Myrrh at a competitive price. Lucky for me there is someone who is willing to do the work, and people like me who appreciate it. The fragrance is rich, deep, lightly bitter like its oleo-resin, but much more refined, with a well rounded, cool, (It suggests to me, sitting in the shade of the Myrrh tree on a hot Ethiopian afternoon), woody, with a spicy sweetness that is delicious. Its complexities suggest it is halfway to being a perfume. It lingers and persists for a long long time, the sign of a good Base Note..
Commiphora Myrrha-Myrrh tree. Maybe better to wait till it is in leaf before enjoying its aromatic shade and protection from the Ethiopian sun! 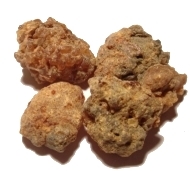 This Myrrh essential oil is reddish amber in colour and mobile, moving like a thin liquid not like Molasses, or tar, which is how the usual solvent extracts of Myrrh look and behave. It blends with pure alcohol like milk in water, literally on contact, what a joy! I used to get very frustrated trying to blend Myrrh in perfumes or cremes with little success, until I learned, that what I had, was actually a solvent extraction, a resinoid, and not an essential oil at all. This knowledge didn’t make my life any easier, but it at least allowed me to resign myself to its limitations instead of fighting them, while I searched for a true essential oil. I only have a small amount of this oil to share through the shop, so if you consider purchasing some, check it out in the shop or contact me in the comments section here. I would be delighted if more people appreciated this gem, and the finesse it takes to create it. 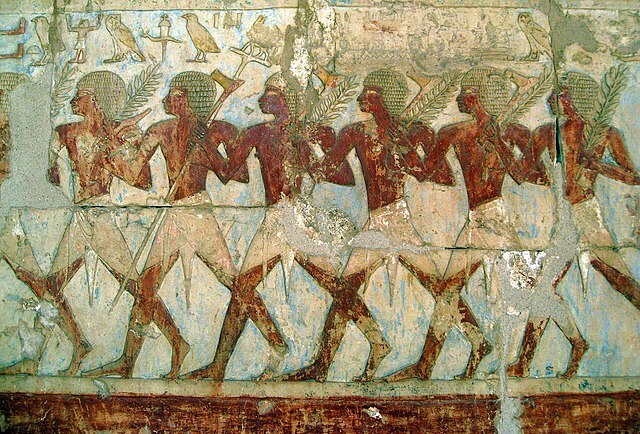 A gift from the Land of Punt. A Thought on the holistic tincturing of oleo-resins. Each type of Oleo-Gum-Resin such as Myrrh, Opoponax, Mastic, the many types of Frankincense etc., contain different proportions of water-soluble gum and alcohol soluble oleo-resins, (resins and volatile oils). I propose that when one of these Oleo-gum-resins is tinctured to extract its medicinal constituents and properties, that the 2 solvents used for tincturing, be in the same ratio to each other, as the ratio of gum to oleo-resins in the material being tinctured. Frankincense, Boswellia Papyrifera 60 grams. 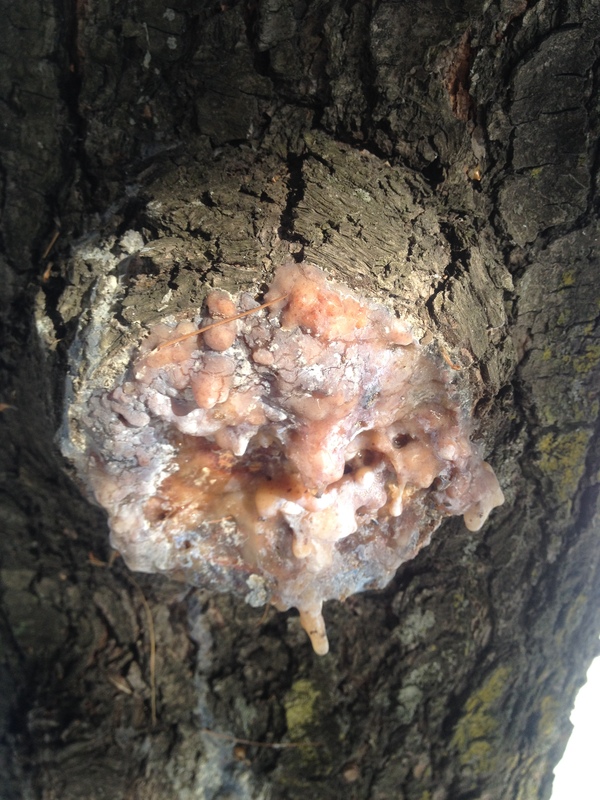 An oleo-gum-resin. Has a different percentage of gum to resin than Boswellia Rivae. In a traditional medicinal, water/alcohol tincture, the gums are dissolved by the water, the oleo resins by the ethanol,(alcohol). What is left over after this extraction is mainly bark and other insoluble extraneous organic material. (Spagyric tinctures often put this to good use). The point of tincturing is to extract as much of the soluble active medicinal components as possible. Ideally exhausting the material by transferring all its chemical constituents to the medicine, while preserving any preexisting synergistic effects between them. I propose that the best way to create a water/alcohol tincture that is true to its source material, is by using the same ratio of water to ethanol as the plant material exhibits in its ratio of gum to oleo-resin. That this is the only way to accurately migrate the whole material authentically, with its inherent medicinal potency, and any “synergy” that is naturally present in the original material. “Solve'” applied to Boswellia Papyrifera. The triad is separated into its 3 components. Gum(on right), Resin, (on left), in solution, and essential oil. (Not in their naturally occurring proportions ). Thus, if a sample of Myrrh oleo-gum-resin contains 60% gum and 40% oleo-resins, and a Tincture was made using 100% ethanol, it would only extract the resins and volatile oils. It would have a negligible amount of water-soluble gum. Certainly nothing close to the gum to oleo-resin proportions found in the original material. One would assume this extraction would not offer the same medicinal effects as the whole oleo-gum-resin. 1- Because the water-soluble gum contains chemical constituents that have medicinal value on their own. And 2- because whatever effects the synergy of the whole material had in its natural form, would be lost. According to this method, a solvent mix composed of 20% alcohol and 80% water would not extract a tincture that was representative of the original material either. Rather it would contain more gum than oleo-resins than the original Myrrh. The same could be said of any other combination of these two solvents other than a combination of water to alcohol that reflected as closely as possible the actual proportions of gum to oleo-resin found in the material tinctured. Some types of Frankincense contain very little gum, such as Boswellia Frereana. As low as 0. 5%-0.1%, see AritiHerbal table of Extractability of Boswellia Resin. 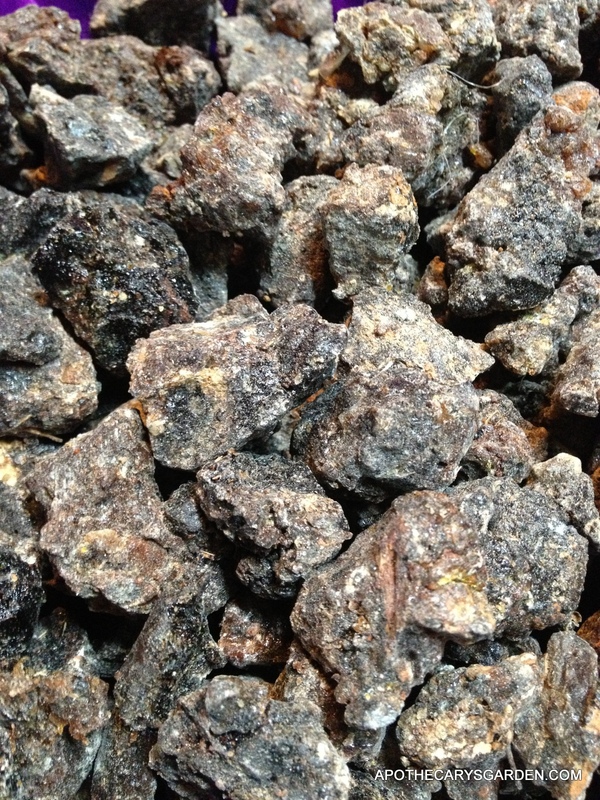 Other types of Frankincense have greater proportions of gum to oleo-resin. According to this theory of holistic tincturing, the unique qualities inherent in each oleo-gum-resin, can only be reproduced in a tincture if the natural ratio of gum to oleo resin in the source material is reflected accurately in the ratio of water to alcohol in the tincturing solvent. One could assume it would keep the same natural synergy in the original material intact by keeping all the chemical constituents in the same relative proportion to each other in the finished product or tincture. 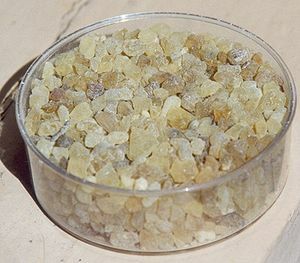 Containing almost no water-soluble gum, Frankincense Frereana does not dissolve when masticated, for this reason it is used as a chewing gum and can be purchased under the name “Yemenite chewing gum”. It is composed mainly of resin and essential oils. I am not a trained scientist, nor do I have access to the instruments that would put this theory of holistic tincturing to the test. I don’t know if this makes sense to anyone besides myself, or if there is any corroborating research out there to support this theory, but I would Love to hear any opinions, conflicting or supporting. As an addendum ,( written a month or two after this post), I need to add that after thought, contemplation, examination and the occasional dream, I realize there may be one other way to extract all of the essential oils, resin and gum from these oleo-gum resins. The one way they could be extracted in their entirety and with their naturally occurring proportions intact, without a knowledge of their inherent gum-resin-oil ratios is, If a “disproportionately large” amount of alcohol/water is used for the extraction. So instead of making a 1:5 or 1:6 tincture with 1 being the oleo-gum-resin, something like a 1:10 tincture could be prepared. using much more water than the quantity of gum required, and much more alcohol than the oleo-resin required. In this way all the components could be extracted. However…the obvious drawback, is that there would be a much higher quantity of liquid and a lower proportion of oleo-gum-resin. So it can be done, but with a price. In a way, cheating a bit. This 1:10 ratio tincture, though containing all the soluble and desired parts of the material, would be very weak, which is not ideal and I see no finesse, or advantage to it. It would be very very difficult, if even possible, to remove the excess solvents without losing some of the volatile oils. Since I am on the topic I will take this opportunity to raise a point that I will address in greater detail in a future post. Lately there has been a lot of talk about the healing properties of Boswellic acid found in Boswellia Sacra. Though much important research has been done on the different types of Frankincense, and Boswellic acid does show great promise as an anti-inflammatory and antitumor, among other important applications, it is not a volatile or essential oil . Which means little, if any Boswellic acid is found in the essential oil of Boswellia Sacra/Carterii. Whatever Boswellic acid is present in the oleo-gum-resins of some of the members of the Boswellia family, resides in the resin part, not in the “Oil”, and is not normally extracted with the essential oils. If a company claims that its essential oil of Frankincense Sacra has a “high percentage of Boswellic acid, then one should ask, how did it get there? ?